The News Apartments has received a 2019 Annual Design Awards, “Award of Honor” from The American Institute of Architects Eastern New York (AIAENY). 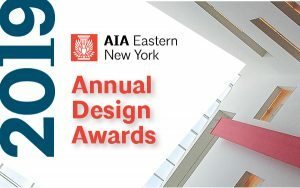 The awards recognize the design accomplishments of AIAENY members, highlighting the excellence of their creations and acknowledging outstanding contributions to the built environment. Balzer & Tuck Architecture, the firm responsible for designing The News, was the submitting member. The honors were presented at the 2019 Design Awards Reception & Ceremony, held on March 20, 2019 at the Opalka Gallery of The Sage Colleges in Albany, NY. Honorees were chosen from dozens of submissions from across Eastern New York State. This year’s Design Awards Jury was comprised of members of the Central New York Chapter of The American Institute of Architects. The ceremony was led by Master of Ceremonies, Evan Douglis, Dean of the School of Architecture at Rensselaer Polytechnic Institute. AIA Eastern New York, chartered by the American Institute of Architects in 1930 and incorporated in 1956, is the local professional society for architects. AIAENY covers a 16 county area of Eastern New York. With over 350 members, AIAENY serves as the link between local professional architects, the American Institute of Architects and the public. As a Chapter of the American Institute of Architects, our objective is to promote the value of local architects, to advance the architectural profession through improvements to the built environment and to serve the public. The News Apartments was also recognized as “Renovated Building of the Year” in 2018 by the Capital Region Building Owners and Managers Association (BOMA).